My husband and I put these travel pants from Clothing Arts on a field test, which we enjoyed. These clothing designed by travellers for travellers are made with a lot of thought to withstand life on the road. The belt-less system on the pants, the camera hook, dual smartphone pockets are awesome, unique features. Having pockets within the pockets instead of pockets all over the place of the pants allow it to be more secure from getting pick-pocketed. I like that within the zippered pocket there is a wide mouth pocket to put our smartphones etc. Zips pull upward and allow the pockets to open wide. The rear cargo pockets are expandable and also has hidden zippers that can open wide to secure our passport and money. I love the feel and look of the P^3 women's travel pants, as it is suitable for any type of journey, adventure or business. I like that we can make the pants into a Capri, by rolling it up and buttoning it; perfect to wet our feet when walking on the beach. The women's pants are made with advanced, dual action Teflon fabric protector that repels spills, and releases ground stains easily when washed, which saves time and energy when we are travelling. The durable cotton, nylon fabric conforms to our contours and shape. The pants are available in colours like khaki, olive, and grey. My husband likes that once the front P^Cubed pocket is zipped, it can be secured with an extra flap that is buttoned to seal for more security. There are pockets in the right, left, front and back. There is an attachable holder that can be buttoned to hold a bottle of water, if we do not need this we can remove it. The cut resistant 2 ply pockets are expandable, which allows to comfortably store guidebooks. These durable 100% cotton pants for business and adventure travellers is available in Classic and Cargo that can be bought either in khaki, brown, green or grey. These wrinkle free, preshrunk, breathable fabric air-dries quickly, which is ideal for long-term travel. The theft resist and wear-well pants are fashioned with finest thick zips, and strong thread. I like that the pants are not bulky and fits easily in our travel bags. Wearing these pants eliminate the need to wear our obvious money belt and gives us a peace of mind when we are travelling, and walking in tourist zones, busy streets and markets. These travel clothing is shipped worldwide and can be purchased online from Clothing Arts. I am glad to be hosting a giveaway for these ideal travel pants. One winner from US or Canada will win one Travel Shirt, as well as get a choice of any pants or shorts from the site. Please note when receiving the prize you may incur a small shipping charge depending on customs. Please enter the giveaway through the rafflecopter below before March 25th. Please leave comments and follow my social media networks to be eligible to win. I live in Canada and I like that fact that these pants breathe and have tons o pockets! I love that the women's pants are made with a protector that repels spills. That's so awesome!! Great feature! US and I think they are awesome. I'm in Mississauga , Canda. After reading your review I think my husband will love these comfortable pants especially because of the multiple pockets. With two girls, we have our hands, bags and pockets full with their stuff , in addition to ours while travelling. I live in Canada. First, I love the way they look but I also like that they have so many pockets. I live in alberta and think they are perfect for travelling! I live in alberta and love them! Canada and I love pants like this for travelling. Lots of pockets and capri option. I live in Newfoudnland. I love all the pockets the pants have. I'm in Ontario and I love that the pants are wrinkle free, have lots of room, and are somewhat waterproof. I'm in ON, and I love that the pants are wrinkle free, have lots of roomy pockets, and is kind of waterproof. I'm in Ontario! I love that is has hidden zippers for money & important stuff. I live in Ontario. These pants looks comfy and fantastic for the conscious traveler. I like the zippered pockets,,nice pants! I live in Canada. The clothes look great for traveling. I live in Canada. I like that they can go from pant to capri. I'm in Canada. I love these pants. I've read about them before and have wanted to get some. I love that you can switch to capris and that they are wrinkle proof and dry quickly -- all important when travelling. I live in Canada and love that these pants are 100% cotton so I know they will feel soft and love they are so versatile! Canada. I love that the pockets are expandable and big enough to hold a guidebook. US, this is an awesome idea, specially in summer when we have lot to carry in trip this is a life saver. I live in Canada and I like that they have so many pockets that are secure! I am in US. The pant as more pockets and good for travelling. I love the cut resistant pockets! I live in BC! I'm from BC. 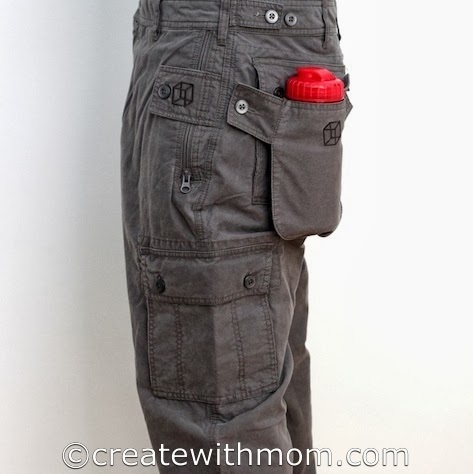 i like that there are pockets in the pockets and I definitely love that they are stain/spill resistant. I have a few pairs of pants that have pockets that are too small to fit my smart phone in and that is frustrating so it is great that these have pockets designed to fit phones. I'm in Alberta. I like that the pants are theft resistant but not bulky and have lots of pockets. I don't like carrying a purse, so need lots of pockets. I'm from Canada. I love that it's made from 100% cotton and has many secure pockets to keep your things in. I live in Canada and I love the water bottle pocket! I am in Toronto, like that the clothes created for travelers so carry all necessary features to keep them safe and comfortable. I live in Canada and I love all of the pockets, especially the one for the water bottle! I live in Ontario. I love all the pockets! Even when I am staying local and going to festivals, these would be ideal, as I hate carrying a purse etc.